Featuring new features, characters, and gameplay. 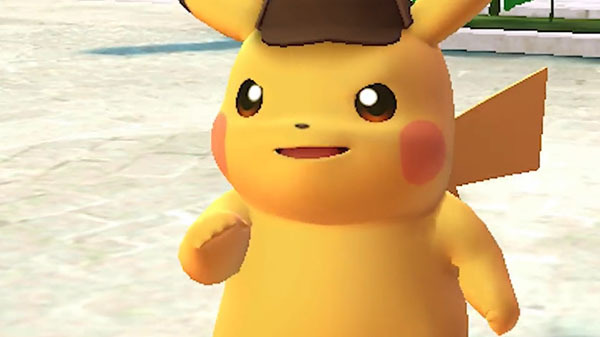 Nintendo has released a new trailer for Detective Pikachu introducing new features, characters, and gameplay footage. The Mysterious Mewtwo: While many different Pokémon appear in Detective Pikachu, the one who seems to hold the biggest connection to the overall mystery is Mewtwo. How is Mewtwo connected to everything? And why does Mewtwo know Pikachu? A Colorful Cast of Characters: Many charming characters roam the streets of Ryme City. These include Pablo Millan, owner of Pikachu’s favorite café; Frank Holliday, an inspector at the Ryme City Police Department; and Meiko Okamoto, a camera operator for the local TV studio. Meeting and interrogating all of these characters throughout the game is part of the fun. In related news, Nintendo also announced that a special demo for Detective Pikachu will be released in Japan in early March.